Is a resort built around a real authentic village, dominated by its bell tower of the 12th century, with it´s arrow pointing at 33 meters above ground. In the past it’s mountain population lived for breeding, hunting and smuggling, however in modern times it has oriented towards tourism since 1933 and more particularly to ski vacations. The mountain with its beautiful terrain has been equipped with multiple lifts, the slopes were plotted, and champions grew renowned from Val d’Isère, naming just a few; Henry Pillow Olympic champion in 1948 and subsequent Jean Claude Killy, Marielle and Christine Goitchelle. 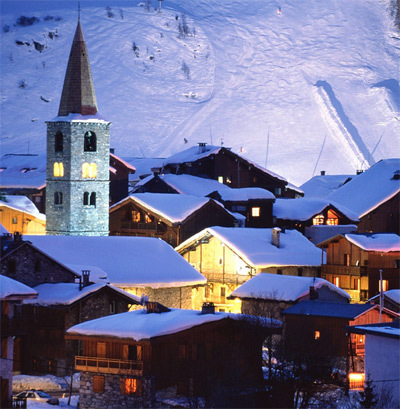 A stay of dreams awaits you, with free shuttles to all ski slopes or off piste sites with beautiful virgin snow altitude.